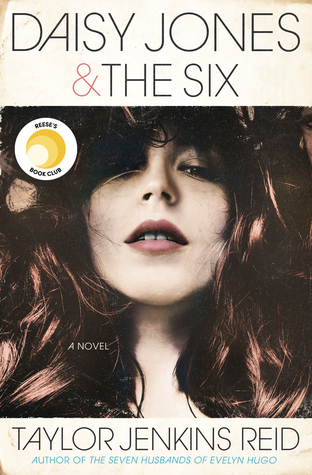 "Love, tragedy, and mystery converge in this compelling novel from “an author to watch” (Booklist). Reading Julianna’s journal gives Parker the courage to start to really live—and it also gives her reasons to question what really happened the night of the accident. Armed with clues from the past, Parker enlists the help of her best friend, Kat, and Trevor, her longtime crush, to track down some leads. The mystery ends up taking Parker places that she never could have imagined. And she soon finds that taking the road less traveled makes all the difference." First line: "There's no such thing as a secret in this town." Thoughts: Have you ever read a book where you become so captivated in the story, you start daydreaming about it randomly throughout the day? Well, that is what GOLDEN has done to me. I often hope people will just randomly bring it up so I can fangirl about it. I just want to hug it and squeeze it and love it forever. To say I'm under GOLDEN's spell is an understatement. First off, did you know that though the story is based around Parker, it also has pieces of Julianna's story in there too? That's right, I said it. There's another story inside the story. How very Inception of Kirby to do this. Parker is one of the finalist for the Farnetti-Cruz scholarship and while this excites her mother, she can't help but feel like she's missing out on something. Sure, it'd be great to go to Stanford and not have to worry about tuition, but maybe there's more to life than this. That's when Parker discover's Julianna's journal from ten years ago. From then on, she begins to embark on the mystery behind Julianna and Shane's untimely death and unknowingly begins to discover who she's meant to be. Maybe even who she's meant to be with. Out of everything there is to love about this novel, my absolute favorite were Julianna's journal entries. They just brought so much depth to the story that I wasn't expecting to find. There's more to her than being the other half of the golden couple. At times, I often found Julianna's tale to be more interesting than Parker's. Maybe because you know it ends tragically? It's not to say Parker isn't interesting or that I didn't like her. I did and I still do, however, I just liked this portion of the novel more. Let's talk about best friends. Let's talk about Kat! She's Parker's best friend and offers this funny, outgoing nature Parker (and the story) needs. Her fearlessness and adventurous personality reminded me so much of my best friend. That's probably why I adored her so much. GOLDEN wouldn't have been the same without her. And last but not least, boys. Oh, Trevor. I cannot tell you how many times I sat there, wanting to just shake him and tell him to kiss Parker already. There's an obvious sexual tension between them hiding behind all the jokes, sarcasm, and innocent flirting. I love that he's willing to go on this journey with Parker. To some, it may just be a road trip but to me, it represented him being there for her. Who wouldn't love a guy like that? 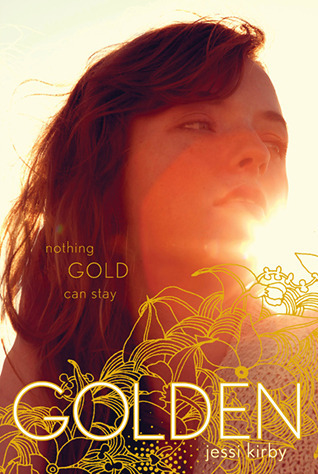 Overall, I highly recommend GOLDEN to all fans of Sarah Dessen, Morgan Matson, and contemporary novels in general. There's mystery, self-discovery, and a twist I truly didn't see coming. Take GOLDEN with you to the beach or read it by the pool. Poor yourself a glass of wine (or tea or coffee), sit back, and enjoy GOLDEN and all its glory. Golden has to be one of the most beautiful, wonderful books I've read this year. I loved it. I loved how it was written, I loved the characters. I loved the story. So glad you did too! Every single person who has read this ended up being entranced by it. I seriously need to read it. I am not a fan of books who have journal enteries or are journal like but with all the amazing reviews, I must try it! Wow, this sounds fantastic! Definitely adding to my TBR! I'm so glad you loved it! I've been looking forward to reading this forever and I just can't wait to finally get my hands on this. Great review, thanks!